The Organization of the Petroleum Exporting Countries (OPEC) on Thursday signaled that it may raise oil output from July if supply from Venezuela and Iran drops further - and although this message was conveyed to media via sources familiar with the matter, it was enough to cause traders to send crude prices plummeting. 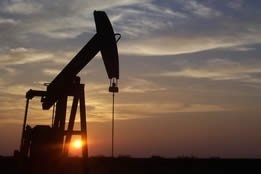 The prospective initiative from OPEC was reportedly encouraged by the recent rally in prices and because extending its production cuts with Russia and other allies could over-tighten the market (the cartel agreed with allies to withhold 1.2 million barrels per day (bpd) of crude since the start of 2019, and its output fell 550,000 bpd in March to 30.1 million bpd). The International Energy Agency said on Thursday that Venezuelan crude production has dropped below 1 million bpd to 870,000 bpd due to U.S. sanctions, and Iranian supply could fall further after May if Washington tightens its sanctions against Tehran, as many experts anticipate. The IEA went on to dispel a closely-held worry of the crude analytical community by stating, "Tightness in the oil market ... is not just a supply story: in recent months, the resilience of demand has received less attention. "Although it is still early days, the major centers of oil demand growth are performing strongly; in China, the economy seems to be reacting to the government's stimulus measures," it said, also reporting strong demand in India. The perception that analytical worries shift from one extreme to the other as frequently as crude prices rise and fall was not lost on Tamas Varga, senior analyst at PVM Oil Associates, who stated in a research note published Thursday that "There are so many uncertainties surrounding the oil market that it makes it virtually impossible to predict developments for the rest of the week let alone for months or a year ahead." Varga added, "There are economic and geopolitical developments to deal with and these can change almost on a daily basis," and he described oil market conditions at present as a "forecasting nightmare."